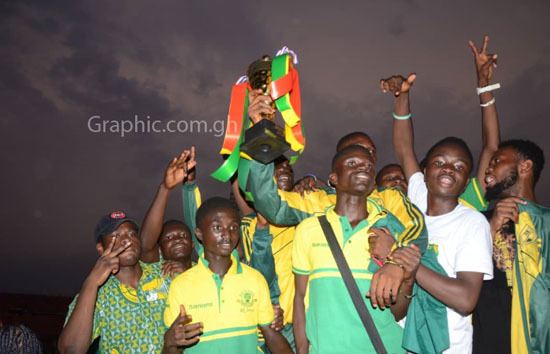 World famous Prempeh College won their third Ashanti Regional Super Zonal athletics competition at the Baba Yara Stadium, last Friday. The prestigious school’s thrilling performance adds to their 26 victories at the Zonal level in the 32-year history of the competition now being sponsored by Beta Malt. Prempeh College crowned the two-day competition showcasing their athletic prowess by winning the exciting 4 x 100 event, emerging from a late start to catch up and surpass the field to cut the tape, to great fanfare. In the male division, Prempeh College stamped their authority with 99 points to add to the 2002 and 2006 victories. They were followed by rivals, Opoku Ware School with 91 points while T.I. Ahmadiyya, Kumasi came third with 72 points. In the girls’ division, T.I. Ahmadiyya – Kumasi (Amass) established their dominance by winning with 129 points, prestigious Saint Louis came second on 119 points while Kumasi Girls were third on 83 points. The confusion between rioting students of Obuasi Sec. Tech. and Al Azhariya Senior High School led to the destruction of more than 2,000 seats including 1,085 of the red seats alone at the stadium. The Public Rations Manager at the Baba Yara Stadium, Patience Sharon Adams Mensah told Graphic Online, a discussion was being held with the Ghana Education Service to surcharge the rioting schools. Two records were broken at the end of the two-day competition. Two girls, Rashida Abass of T. I. Ahmadiyya and Patience Boahemaa of Saint Louis, stood tall among close to 1,000 track and field athletes from 31 schools from five zones. Abass broke an 18-year-old record in shot put set in 2002 by Mary Nartey Zuta from Osei Kyeretwie Senior High School. She threw 11.94 metres to smash Zuta’s 11.70 metres. Patience Boahemaa’s 35.80 metres discus throw smashed her personal record of 33.66 metres she set last year. the company intends to invest more in grooming potential track and field athletes for national assignments as well as revive the discipline at the SHS level. She said for the next three years, her outfit would be working hard with GES to promote and support the sport.